Prepare to travel, cook, eat, and eat some more. This culinary travelogue cookbook is the perfect read for every traveler who loves to eat. 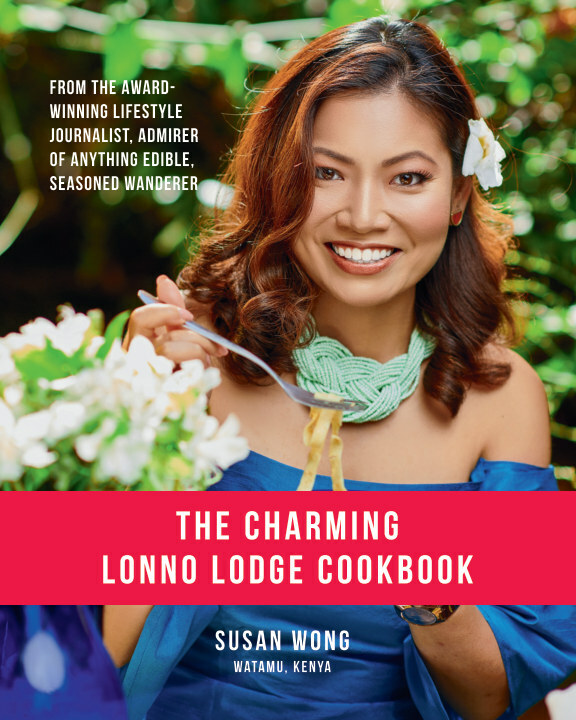 Explore one of the world’s perfect paradises, Watamu, a peaceful and quaint fishing village in Kenya through The Charming Lonno Lodge’s collection of recipes from their celebrated menu, as told by the award-winning lifestyle journalist Susan Wong. The collection of 39 recipes includes simple starters to savoury staples to quintessential Kenyan dishes and even features some favourites that will surely impress your dinner guests. Be transported to the idyllic coast of Kenya and read on for a taste of what inspired this cookbook! Here at The Charming Lonno Lodge in Watamu, Kenya, we have very little to offer. Heartwarming sun, an ever changing light, astonishing silence, refreshing breeze, breathtaking views, stunning food .. and privacy. Really .. a lot of privacy. You can even rent the whole lodge for yourself, and for your guests too, if you wish so. Today, the word “luxury” has been degraded by overuse. Everything has its “luxury” component nowadays … from coffee blends to detergents. But in the view of experienced, demanding luxury travelers, “luxury hotel” has to mean something specific. The hospitality at Lonno Lodge hotel is an experience on its own, that will exceed your expectations. And we mean it. Isn’t this what Luxury is meant for?